VATICAN CITY—Lamenting their tremendous impact on Catholic doctrine and their unfettered access to influential clergy, frustrated Vatican insiders told reporters Monday that policymaking decisions for the world’s largest Christian denomination continue to be manipulated by powerful second commandment rights groups. 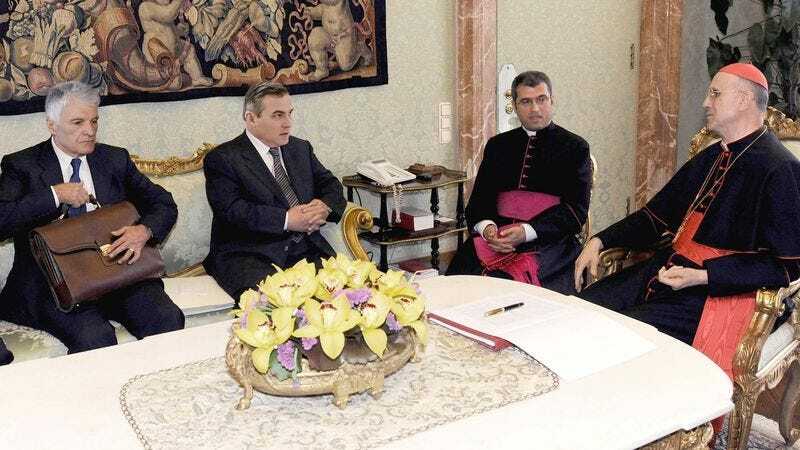 “These lobbyists pump so much money into the Holy See that they can just insert their own positions about not taking the Lord’s name in vain into almost every church edict,” said a Vatican official who wished to remain anonymous for fear of reprisal. “Other commandment groups simply can’t compete with the political muscle these aggressive organizations wield. It’s frustrating to see popular and important ethical decrees like ‘Thou shalt not covet’ and ‘Honor thy mother and father’ continue to go by the wayside because all the most powerful cardinals are essentially doing the bidding of these special interest pressure groups.” At press time, a bishop who had used his sermon to propose a few modest adjustments to the second commandment was being bombarded by attack ads in thousands of church newsletters around the world.